Are you passionate about eliminating the stigma associated with being involved in the Criminal Justice System and experienced by offenders’ families, offenders and their children? Can you see that by reducing such stigma and working alongside our partner agencies and those with lived experience, we can improve outcomes for families and the communities they live in? If so, Could you be a POPS’ Trustee? 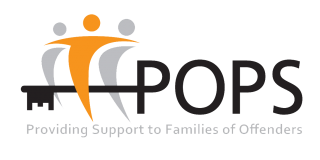 POPS is a charity that was founded by prisoners’ families in 1987. 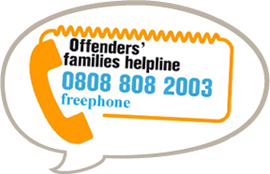 Since that time we have grown to become a recognised and reputable provider of support services to offenders’ families, offenders and their children. Our strategic aim is to eliminate the stigma associated with experiencing the Criminal Justice System directly or indirectly. POPS achieve this by raising awareness of the issues that impact upon families, by providing support to such families and by offering those who have previously offended a 2nd Chance. We are embarking upon an ambitious journey to grow our offer to those we support and to share our understanding of their issues with other sectors such as the NHS, Corporate Industries, and Education providers. Your role as Trustee will be as part of a passionate and dedicated Board, utilising your specific skills and experience to offer stewardship to the delivery of our organisational strategy. At POPS we believe our decision making Board should be fit for purpose and bring a collection of different skills, perspectives and experience. For that reason we are especially interested in hearing from people who have Marketing, IT (digital), Research and Fundraising experience. We particularly want to hear individuals from BAME populations, as well as young people and service users. The standard commitment for a POPS Trustee is an initial three year period with a possible second three year term of office. You will be required to attend four Board meetings per year in Manchester, plus up to a further three subgroup meetings as appropriate. Reasonable travel expenses will be paid in line with our Trustee policy. You must also be over 18 years of age. If you would like an application pack please contact Marcella Turner on 0161 702 1000 or email marcellat@partnersofprisoners.co.uk.